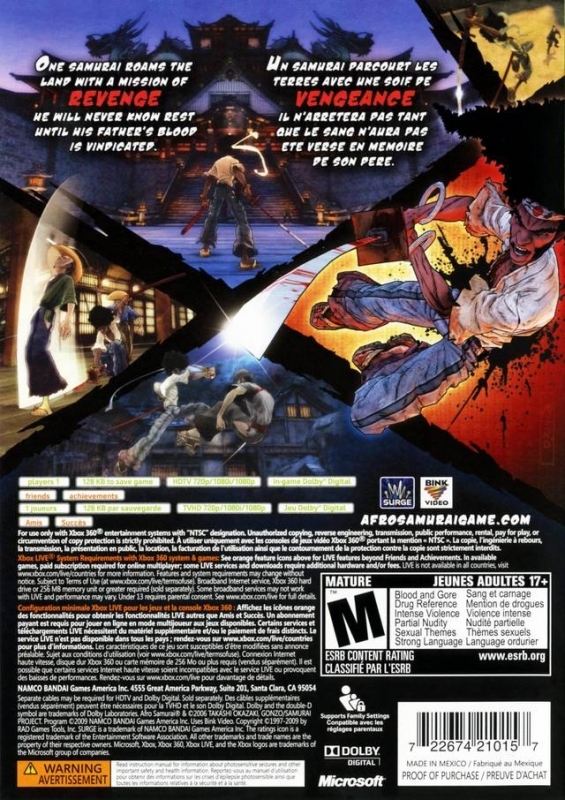 Just remember Surge, "it's nothing personal"
Afro Samurai is one of my favorite animes of all time, so when I heard there was going to be a game adaptation my mind conjured up the dream of playing through one of my favorite stories. The TV show is very much action oriented so it seemed like a perfect fit for a video game; it is unfortunate that the game of my dreams was never actually created. The storyline revolves around two mystical headbands. The number one headband grants one the status of god-hood and you cannot be killed except by one person: the one wearing the number two head band. However, the one wearing the number two headband can be attacked and killed by anyone with aspirations to take on the number one. This leads to an endless war between warriors who think themselves powerful enough to take on the number one. You play as Afro Samurai, a samurai who watched as his father (the number one at the time) was killed in a duel by Justice - a gunslinger wearing the number two headband. He is consumed with hate and dedicates his life to gaining the number two headband and killing Justice. The game’s storyline does a decent job at fleshing out some of the scenarios within the anime, but it does not explain enough for someone who hasn’t watched the anime before. Anyone who is not already a fan of Afro Samurai will be left confused as characters and situations are thrown at them without any kind of background information. People who have already seen the TV show will get a bit out of the new story elements presented in the game, but anyone who hasn’t seen the TV show will be lost in the convoluted mess of an incomplete story. 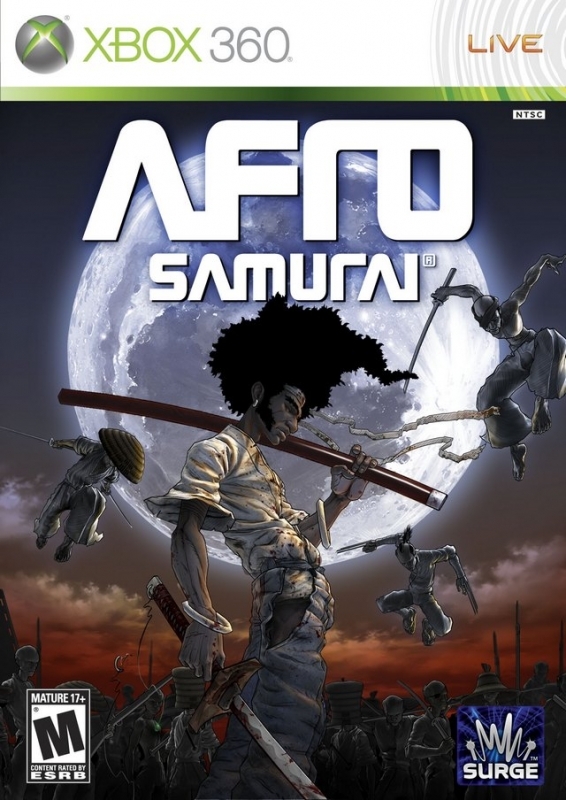 Controlling Afro Samurai plays out like your classic beat ‘em up - you move around in three dimensions killing everyone that gets in your way. Unfortunately there isn’t very much variety in the enemies you’ll be killing. Basically there are ronin, ninja, samurai, sword masters and brutes. Each of these plays out slightly differently, but you will see each so many times that the differences between them will seem pretty minimal over time. There are also some bosses that come straight out of the TV show, as well as some new ones. Most of these bosses simply amount to learning a simple trick and repeating it, but there are some incredibly cool fights such as fighting Android Afro while you free fall through the sky or just fighting Kuma in general. Fighting mostly just amounts to classic button mashing. There are no complex combos that I could find; you simply press one of the attack buttons until the person you are fighting dies. The attack buttons are: square for a light attack with the sword, triangle for a strong attack with your sword and circle to kick. All of the attack buttons can be spammed to make nice looking combos, but since there is only one combo for each type of move there isn’t really much in the way of variety there and you will quickly forget how cool Afro looks during his kicking combo after the 20th time you do it. The X button is used to jump and R1 is used to block. Both of these are used only sporadically, with minor platforming sections being featured in the game, and usually you’ll mow people down so well you won’t need to block anyway. If the above was all there was to the gameplay I would never have made it through the entire game. Luckily there is one exceptionally cool feature that helps to vary the gameplay to keep it from being solely a button masher. Pressing L1 will bring your character into a slow motion mode if they have enough focus, and then during this mode you can do a horizontal or vertical strike using square or triangle respectively. When you start your attack you’ll notice a line appearing on your intended target that you can move using the left analog stick. If you hold the attack button until your sword shines and then release you will cut the character clean through along the line of your attack, severing off heads, hands, legs, or sometimes cutting your enemy clean in two. Enemies aren’t totally oblivious to this ability though and many enemies will try to dodge or block the incoming attack. Very few enemies have the ability to block the attack entirely and you can move the line of attack to catch people who try to dodge. This is easily the most fun part of fighting in Afro Samurai and luckily you’ll have enough focus from killing people that you’ll be able to use the ability extremely often. If you can max out your focus and need to take out a large number of enemies at once you can press L2 to put yourself in a super slow motion mode where you rush from enemy to enemy and any attack you do will slice right through them. After around 10 seconds of this mode your focus will be completely depleted, so it’s not something you want to use very often. 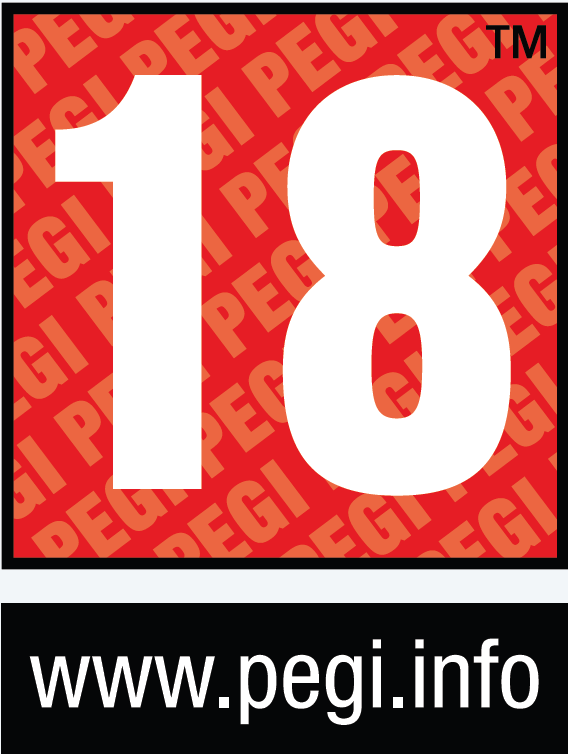 The ability to slice through enemies also leads to the game’s only mini-game: Body-Part Poker. If Ninja Ninja is on the killing field and you walk up to him he will start a game of Body-Part Poker in which your objective is to slice off body parts to make a poker hand. The enemy type is counted as the suit of the card - ronin, ninja, samurai, etc - while the specific body part you cut off is like the type of card - hand, leg or head. There appear to only be three different choices of what to cut off so usually you try to cut off one of each; cut off the same body part three times; or cut off body parts all from the same type of enemy. If you are able to make a poker hand with the three cards you create from the slaughtering then you will get various bonuses, such as experience or a full focus bar. The rewards for winning were fairly pointless, but it was fun trying to cut off specific body parts; cutting off just one foot can be extremely difficult. One thing I really enjoyed about Afro Samurai was the simplicity in its HUD. There is nothing in the way to take you out of the experience and all the necessary information is given to you with visual or audio cues. The amulet hanging from your katana glows white or black to show your current amount of focus; enemies blink red when they are near death; and you yourself blink red and your heartbeat and labored breath become apparent when you are near death. Unfortunately they took this idea of simplicity too far and pausing in the game only gives you the options of resuming or leaving the game. You have to go back to the title screen to change any kind of setting, which is exceptionally annoying and makes little sense. There are some stats to your character and you actually gain experience and level up, which increases your health and allows you to use new skills, but since there is no place to look up how much health you have or what skills you have unlocked and how to do them, there really isn’t much point to it. It sounds like a great idea to gain experience while playing through a game such as this, but if I can’t see any of the fruits of leveling it is hard to care. The visual presentation of Afro Samurai is definitely one of its best qualities, bringing you into the idea of playing the anime very well with environments taken straight from the TV show that vary from a mountain temple to the training grounds of your youth and a water color-esque visual style much like what was used in the latest Prince of Persia but with a slightly darker color pallete that fits the subject matter. Slicing enemies in half is quite the visual spectacle of blood and gore with blood splattering on the screen as you cut down your opposition, and Afro Samurai’s main characters are all rendered quite well, while Afro's moves are highly reminiscent of the source material. The black and white effect during slowdowns while you slice people in half and watch their red blood spray out is quite appealing. There is an unfortunate amount of model reusing for the enemies, with ronin simply being re-colored or having different hats added to them. There are definite frame rate hiccups that usually occur when the game does a split screen to let you see what some enemy is doing without taking you out of the action. These are not very often, but they are definitely apparent. Destructible environments are completely absent unfortunately, as it would have been incredibly awesome to have a fight in a bamboo forest with katana slicing through everything in its path. Music and voice-acting were given a lot of love in this title. The music is mostly hip hop and goes well with the style of the original anime. Voice-acting is done mostly by the same actors who were in the anime, which is especially note-worthy for the often amusing lines of Samuel L Jackson as Ninja Ninja. 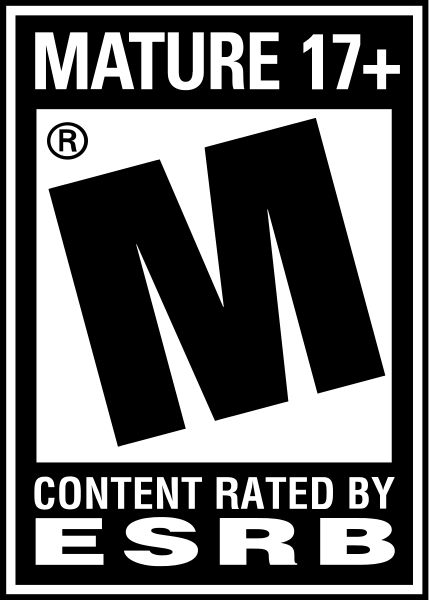 Unfortunately the sound effects did not get quite the same amount of love, and you will often slice and dice your way through enemies without a single sound to denote the massacre. Also there are some audio bugs where a line will skip two or three times before continuing. Even with these issues, however, the sound design is still the best part of this game. Gameplay in Afro Samurai is rather hit and miss, with miss predominating. Through your playthrough you will find yourself killing multitudes of the same enemies over and over again, with barely any reason. The developers will often use the excuse of “You killed _____ relative” to introduce a random miniboss fight and all of these seem extremely tacked on. The real boss fights are against main characters and can be extremely nostalgic, but they also contain some of the most annoying tactics and frustrating bosses I have had the displeasure of facing. Six in particular took me a good hour of trying over and over again, while he used his flame thrower to massacre me. These cross the line of seeming difficult for the sake of challenge, into the realm of seeming difficult because they weren’t very well thought out. Slicing people in half is a great way to vary the killing a little bit, but you will still find yourself exasperated at the sheer number of enemies the game wants to throw at you when you really just want to see the next section of game and get back to the nostalgia of playing the TV show. Value is Afro Samurai’s greatest disappointment. I played through the entire game in just under five hours. This is a pathetic amount of playtime for a full price game. There are no multiplayer options and very little reason to replay the title. Collectibles are present throughout the game as teddy bears or flocks of crows, but these only give you access to bonus concept art for backgrounds and characters and aren’t a good enough reason to play through the game again. 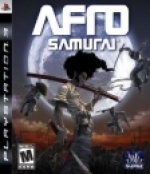 All of these qualities make this an extremely hard game to recommend to anyone who isn’t a diehard Afro Samurai fan, and even then only as a rental. There are very few people out there who wanted this game to be great as much as I did. I loved the anime, and the idea of playing as my favorite badass anime character seemed like a dream come true. Unfortunately the game just doesn’t deliver as I’d hoped. Slicing up people can be extremely fun. The visuals keep a lot of the style of the source material and the audio presentation is extremely well done, with music inspired by the RZA and voice-acting done by the original cast. But the often repetitive gameplay, abhorrently short playthrough time, and exasperating bosses make this a game that I can only really recommend as a rental to diehard fans of the anime - and they've probably bought (or rented) it already. I've played it, beaten it a few times and have a bunch of videos up on youtube under the same user name. A very fun game. Looks great! Love the anime! but I need more info. on the game. Hows the gameplay?